Marlin M. Jenkins was born and raised in Detroit. His poetry and fiction have been given homes by Indiana Review, Waxwing, Iowa Review, and Forward: 21st Century Flash Fiction, among others. 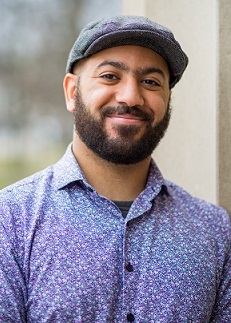 He has worked as a teaching artist with Inside Out Literary Arts teaching poetry to middle schoolers in Detroit Public Schools, and is the Short Story Advisor at the Neutral Zone. He teaches writing and literature at University of Michigan, where he earned his MFA in poetry.